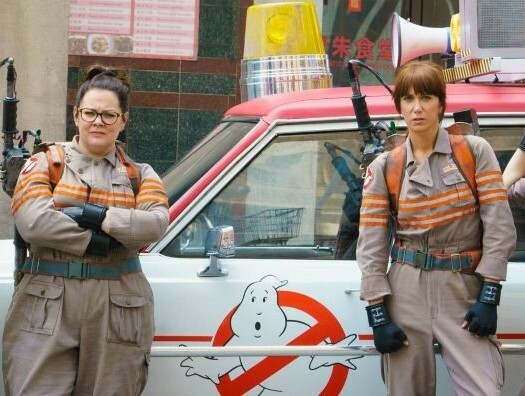 "Ghostbusters" is the reboot our culture deserves. That’s hardly praise. The new film features a meandering story, a crush of stale one liners and several lame set pieces. What it offers? Duel victimization storylines ripped from today’s snowflake-encrusted headlines. Our heroines feel used, abused and neglected. Then again, so does the bad guy. Compare that to the 1984 original. The classic comedy embraced capitalism while mocking bureaucrats. A crisp opening sequence, which offers the story’s only creepy vibes, suggests ghosts are once more running wild in New York City. 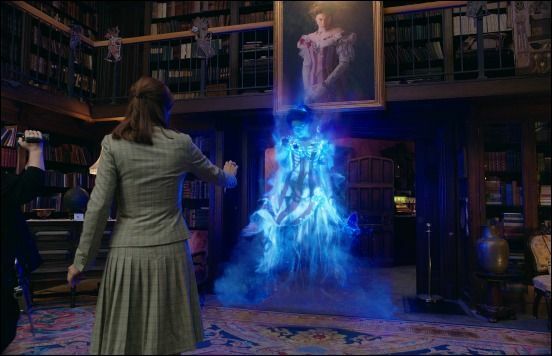 We then meet Ellen (Kristen Wiig), an academic ashamed of her past work studying the paranormal. A long-ago book project resurfaces, reuniting her with co-author Abby (a restrained Melissa McCarthy). They’re frenemies now, although Ellen isn’t sure what to make of Abby’s new lab partner Liz (Kate McKinnon). The trio mend fences well enough to investigate the opening scene’s fallout. They eventually team up with Patty (Leslie Jones), a brash transit worker who knows the Big Apple better than anyone. Together, they’ll face the man bringing ghosts back to the Big Apple. He’s a hopelessly drab baddie played by Neil Casey. The poor gent suffered from bullying as a lad. Now, he wants to teach humanity a lesson. Maybe he just needs a hug. FAST FACT: Kate McKinnon joined the cast of Logo’s “Big Gay Sketch Show” by surviving a grueling audition process including “thousands” of wannabe sketch players. The “lady” ghostbusters, in turn, feel put upon in some way. They’re professional victims, beaten down by society. Their bosses tut-tut at their clothes. The Mayor (Andy Garcia) wants to keep their heroics quiet. Self doubt haunts them at every step. They have chips on their shoulders bigger than the Stay Puft Marshmallow Man. “Ghostbusters” moves with little sense of purpose or pacing. We spend so much time with the budding team we endure McKinnon mugging her way through a nonsensical dance sequence. Hey, ladies. Pick up a thicker skin while you’re shopping for new proton packs. The script, alternately witty and moronic, keeps tossing out insults to the foursome. “You shoot like girls,” for example. It’s as if they’d rather be hunkered down in a safe space than busting ghosts. Other lines feel moldier than cheese left over from the 1984 film’s catering truck. Take this sad attempt at a catch phrase: “you’ve been Holtzmanned,” after Liz’s last name. And then there are the cameos. Most stop the movie cold, although Dan Aykroyd’s moment is sweet in all the right ways. That’s mostly true for Annie Potts’ moment, too. The same can’t be said for Bill Murray’s turn. Bill Murray’s cameo is either the worst screen clip of his majestic career or proof he wanted no part of any new “Ghostbusters” project. It didn’t matter which bathroom the film’s stars chose. 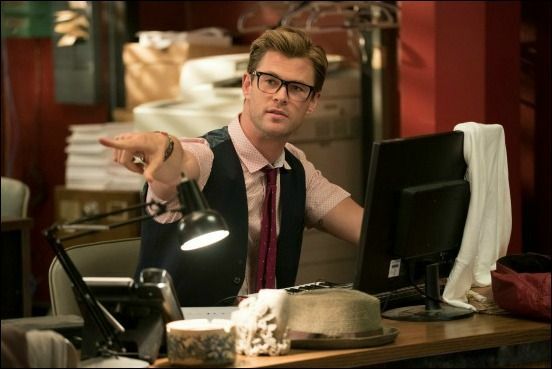 Chris Hemsworth is called upon for both a sizable plot point and the gender-reversing eye candy. He nails the latter, taking over for Potts’ receptionist character. His dim-bulb shtick grows old within seconds, alas. We’ve been told over and again that young girls need an all-female “Ghostbusters” to feel good about themselves. The movie’s early scenes feature a fart joke, and then a gag involving gas emitting from the “other side” of a woman. Thankfully, Feig and co. put the brakes down on the potty humor from there. For a movie obsessed with empowerment and settling scores, it features some oddly antiquated gags. How should we process the heavyset Abby battling with a delivery person over her Chinese food orders? What about how Wiig’s Erin drools over Hemsworth in every other scene? We shouldn’t notice these slights. It’s just comedy. But the PC Police would slap the cuffs on us if we didn’t. Wiig is always funny, and she’s no different here. McCarthy, even subdued, can pick a punch line out of a slapdash script. But McKinnon, the film’s real live wire, is a revelation. And then there’s Jones, pummeling the same note for the film’s running time. She isn’t helped by the script, which saves nearly all the worst lines for her to rescue. “Ghostbusters” certainly isn’t as awful as its DOA trailer. Nor will it push the original film out of its cozy spot in pop culture lore.